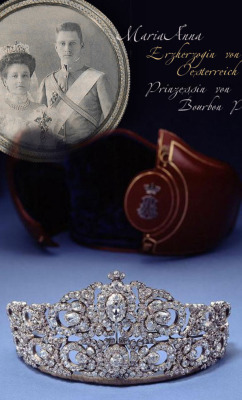 In 1856 the crown jeweler Bapst created a comb for Empress Eugenie using diamonds from the French crown jewels. The head ornament had nine long diamond pendants called pampilles or aiquillettes. 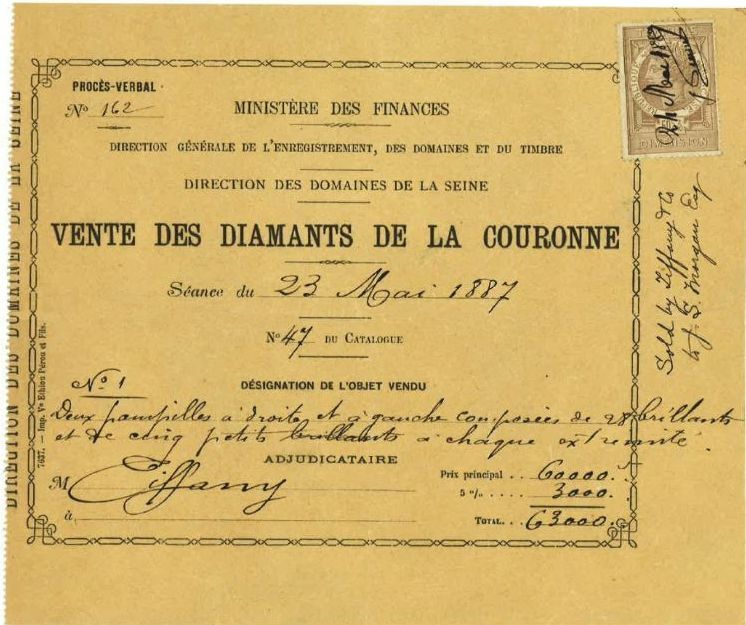 At the auction of the French crown jewels in 1887, Tiffany’s bought four pampilles and sold two of them to Junius Spencer Morgan, the wealthy patriarch of the renowned merchant banking family. 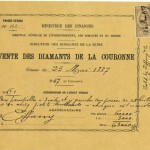 The contents of this box „2 diamond pendants from the Crown Jewels of France“ as described in the papers which accompany them are the property of my daughter Mary Ethel Burns. They were handed to me by her Grandfather on the 29th June 20/88 to be held in Trust for her. 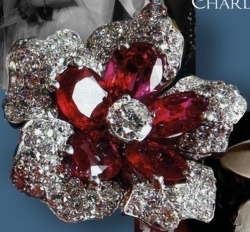 It was an exquisite and amazing present to his granddaughter May Burns. 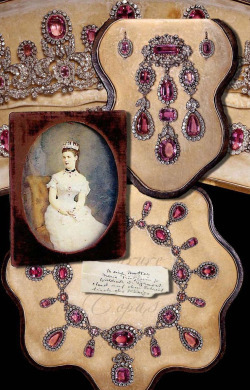 She remounted the pampilles and the twenty-eight diamonds into a fringe necklace. 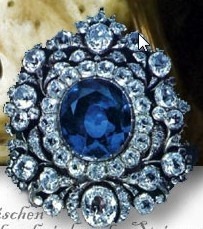 It is said that the old-mine cut diamonds are I to J in colourc, SI to I1 clarity in lively brilliance.